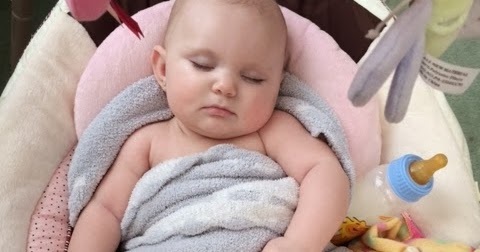 I am in a debate with relatives as to what age you "should" teach your baby to fall asleep by themselves. I think under 6 weeks is too young but I am being pressured to put my son (4 weeks old tomorrow) to bed before he is completely sound asleep.... 21/01/2009�� I have been rocking my baby to sleep since the day he was born. He is 4 months old now and even though I enjoy rocking him, I think it's time for him to go to bed on his own. Especially since I now have to rock sometimes for 1 1/2 hours. he's sleeping the whole time but as soon as i put him down, he wakes up as if to say "
21/01/2009�� I have been rocking my baby to sleep since the day he was born. He is 4 months old now and even though I enjoy rocking him, I think it's time for him to go to bed on his own. Especially since I now have to rock sometimes for 1 1/2 hours. he's sleeping the whole time but as soon as i put him down, he wakes up as if to say "... Then once your baby can fall asleep in the hammock and resettle them self in the hammock during the night, they have the skills to fall asleep in the cot at bedtime and during the night. Many parents also make the move to the cot gradually. My 6 month old has to nurse to fall asleep at night and it takes roughly an hour and a half before she's really asleep. I've tried putting her in her crib while she's still awake and she gets so upset and choked up, it's not just a little baby cry but an all out scream! While it's hard to break these habits, it's important in the long run to help your baby fall asleep by himself. If he can self settle in the night, chances are, you'll get more sleep too. If he can self settle in the night, chances are, you'll get more sleep too.